For those who wont eat anything but biltong. TRY OUR BEEF JERKY. No, it’s not biltong, but is a great taste with secret spices and extra coriander. This really is an African Safari in every bite. 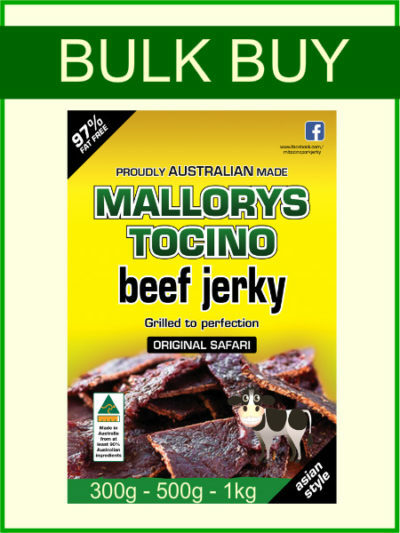 Bulk pack original safari jerky comes in 300 grams, 500 grams and 1 kilogram packs. Make your selection below. We also sell 100g packs. 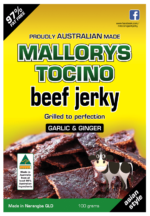 Our clients say we have the best Beef Jerky in Australia. Our beef jerky recipes will have you coming back for more. Being 97% fat free, it makes the perfect healthy and nutritious snack. Now available in 300g, 500g and 1 kilo packs.